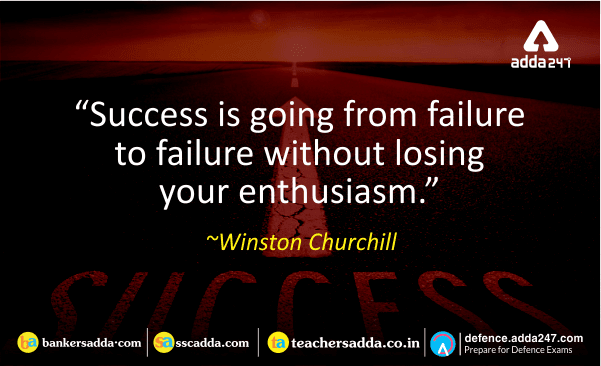 Getting knocked around by failures is never fun or easy, but this advice from Churchill reminds us that it’s vital that you remain enthusiastic and motivated in your tough times. It’s not an easy task, but it’s clear to see that if you let your defeats get you down, it would be harder to get the next success under your belt. Make an effort to get enthusiastic about your current endeavor, regardless of how many times you’ve fallen short in the past. This is sure to result in a success or two, which builds momentum and makes it easier to get excited about what you’ll do next.